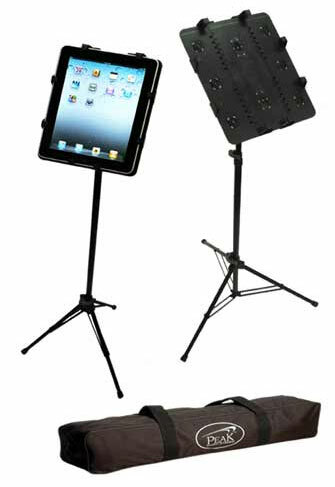 This tubular steel SPC-22 music stand is made specifically for iPad II. It's rubber mounts ensure a safe and secure hold of your iPad with 360 degree rotation capability. Couple this with the PageFlip Cicada Bluetooth Pedal and you'll have the best of both worlds...literally ... virtual and physical! Stand for iPad I, also available.